If nowhere else, the catch up is inside. The grieving like growling indigestion in the emotions and deepest. Trying not trusting, lurching about and not resting and reigning. Can be self-strong or wobbly. Regardless, it's the wrong kind of weakness. The dependence that liberates knows its place. Of physical and material doings. In the body and movement. In bread and wine, aka 'Kombucha' m'ends. Richard Wurmbrand was in a prison. 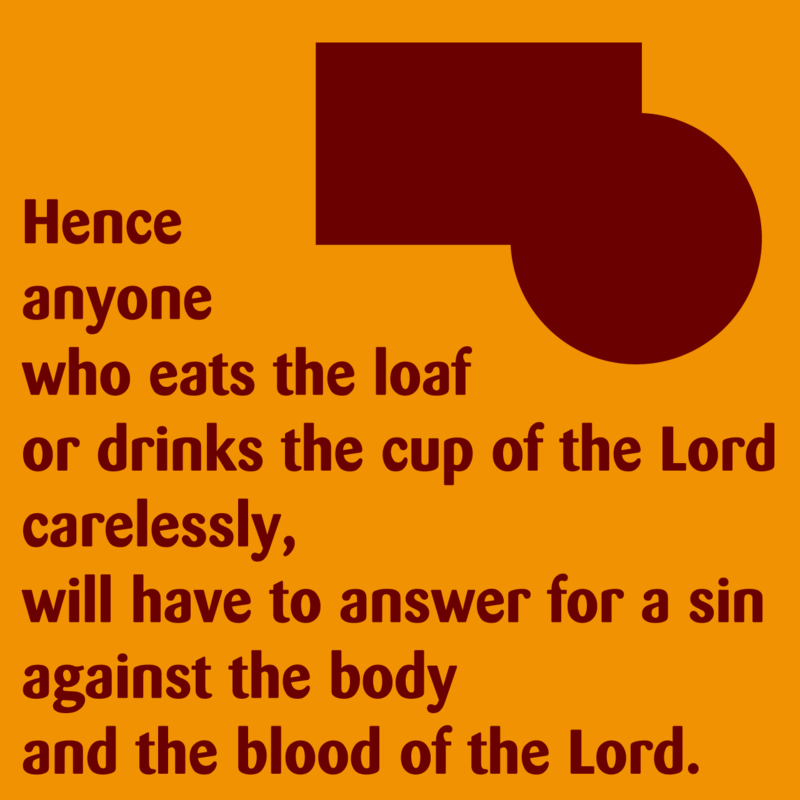 In one unforgettable passage, he writes of taking communion using cardboard and water. A small huddle of the broadest and beyond of a church meeting. There's no way we can tell if the early church were daily doers. Something done every time they met. We know it went from homes over the meal to once a week and formal gatherings. Church-organisation taking ownership and the dispensing by designated ones. Paul's following directives about communion are about relating with others and knowing uprightness. Through confession and repentance. Moving straight into the manifestation of the Spirit. Before returning to 'unity and diversity'. Arguments from silence and doing as often as can. Accepting, not in active 'fellowship' i.e. 'go to church' has me on the solitary and up for this. The intention today and this, the purpose of the post. Help. Not having a verse or two coursing through my mind is another downer screaming ' oh foolish one'. Turn this on for an hour to tap and what..? Nout doing. Having said this would rather have to face the loss and lack. There are no substitutes for having something that registers. The pump pulls up from enough input. Need much to get something. Not -- has me floundering and knowing so. Babblin-on. Know so and says what? Rectify and blast-off fueled soon.